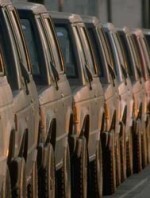 We provide long-term vehicle leasing to various business and pleasure entities. Our long and established experience in fleet handling and management gives us a head start when it comes to appointing your leasing contractor. We can recommend various options and can also be of help in the choosing of the fleet requisites. Besides financial benefits, long-term vehicle leasing gives you peace of mind. Please click on the button below and then enter your details so we can suggest the most appropriate plan to suit your needs.